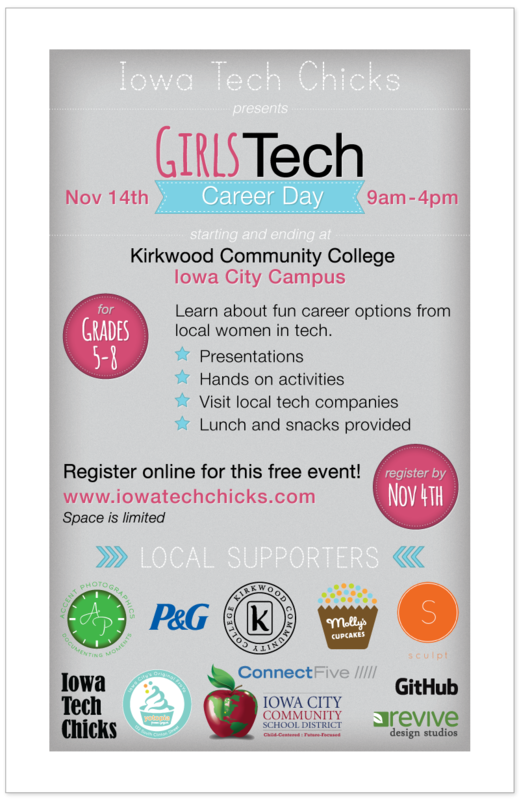 Girls Tech Career Day is an event put on by the Iowa Tech Chicks web meetup group that I’m a part of. The goal is to encourage young girls to more highly consider education and careers in the STEM (Science, Technology, Engineering, and Math) fields. I had an high interest in science and technology in grade school, but never really considered them as options for careers until later in life. Because of this, I wanted to help with this project. I designed the logo, poster, Facebook cover photo, and Facebook post content for this event. 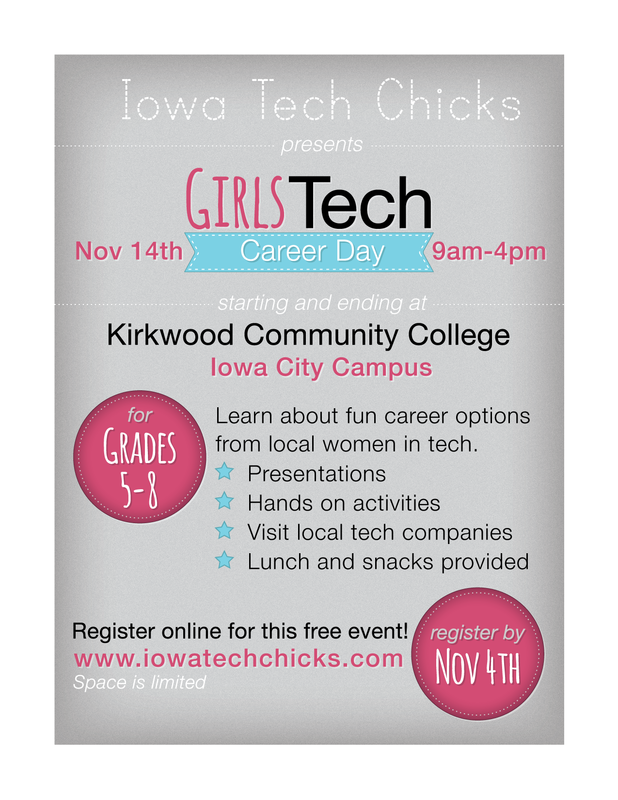 Event is free for girls grades 5-8 in the Iowa City Community School District. If your daughter shows interest in science, technology, engineering or math (STEM) then please, sign up today! Help Us Promote STEM for Girls!